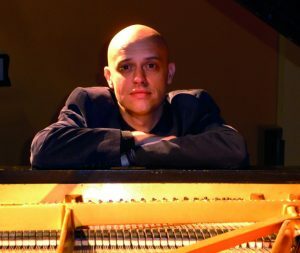 Viv McLean returns to the Henleaze Concert Society for a third successive year to perform another intimate chamber version of a Beethoven Piano Concerto, this time the Second, written between 1787 and 1789. It is paired with Mozart’s Piano Concerto No. 12, written just five years earlier, packed full of exquisitely crafted thematic material. Throughout the year marking the 100th anniversary of women being given the vote in Great Britain, the Bristol Ensemble is programming works by female composers in its concerts as part of its Notes for Women series. At the heart of the project is a series of three concerts at St George’s Bristol devoted solely to music by women, the first of which takes place on 28 April, exploring music from plainsong to the Baroque. This Henleaze Society Series concert includes Maddalena Laura Sirmen’s String Quartet No.6 in E. Born in Venice in 1745, Sirmen studied violin with the violinist and composer Giuseppe Tartini and became a virtuosic performer in her own right, as well as becoming well known as a composer.